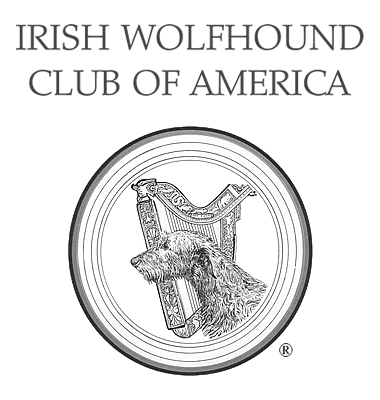 Books - Irish Wolfhound Club of America, Inc. The following lists books about Irish Wolfhounds, containing wolfhounds and associated with their history. By no means is this an exhaustive list. While most categories are self-explanatory, please note that “Irish Wolfhound” contains breed-specific books as well as titles particular to pedigrees, champions and registrations. “Biographies and History” includes biographies of Irish Wolfhound people, histories featuring wolfhounds, as well as some general non-fiction sighthound titles. Books are listed alphabetically by Author's last name. Some may be out of print, but are sometimes available through used book sales and auctions. Irish Wolfhound Registrations in America 1956-1964 - Compiled and Edited by Brig. General Alfred W. de Quoy, ret. The Irish Wolfdog - Father Edmund Hogan, S.J. Irish Wolfhound Champions, 1952-1987 - Camino Books, Inc. This page was last updated 10/21/2018.